Every December, the members of the extended Becker family (living in three states) make their tracks up to the family ranch in extreme Northern Idaho. The house is filled with family, food, lights, laughter, lapping, yapping, and plenty of dog hair. Each year we make sure to prepare the home for the whirlwind of dozens of tiny feet scuttling around on hardwood floors. 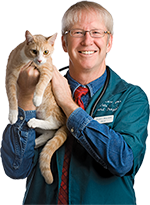 Beyond the usual dangers of food-related illnesses, the biggest danger to pets during the holiday season is prescription medicines intended for human use. Family and friends staying or visiting your home often bring along their medications, and that means a higher chance these medications will be left out or dropped on the floor. Any human medication can pose a risk or may even be fatal to pets. Make sure that your visitors keep their prescriptions in their child-proof containers, off the counter, in a drawer or cabinet or otherwise safely stowed away. If you believe your pet has ingested medication, call your veterinarian, your local veterinary ER, or the ASPCA pet poison control center (888-426-4435) to find out what you need to do. On another note, make sure that your holiday decorations are secured and pet safe. Retro Christmas has become popular once again, and nothing is more iconic than bubble lights and tinsel. The movement, shimmering light, and crinkly sound of tinsel is tantamount to kitty crack. 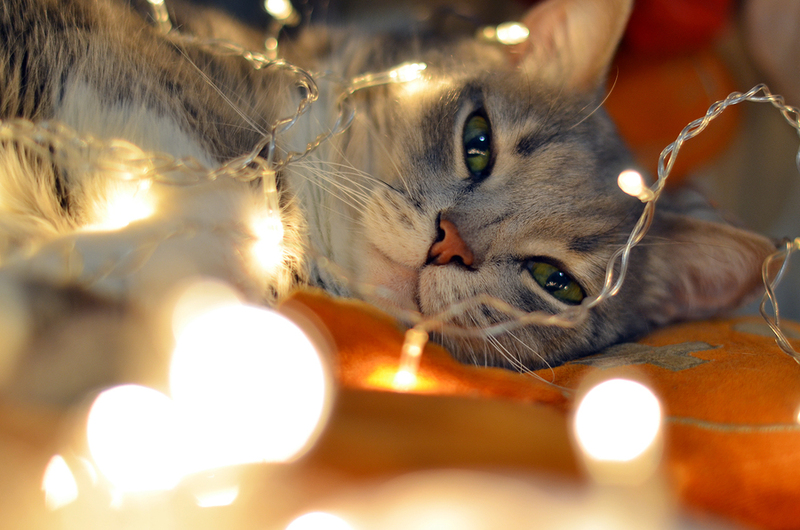 If your cat ingests tinsel, it could pose a danger to their intestinal tract that can be fatal, or at least very expensive (the intestines bunch up like an accordion or you pushing a long sleeve shirt up; the tinsel is typically removed surgically). If you have pets, forgo the shiny crinkly stuff completely.